Ever wish there was an easy way to find out about how to access and engage with your local Arab community? An innovative new publication has begun to pave the way for more unity and interaction between Arabs living in the San Francisco Bay Area. 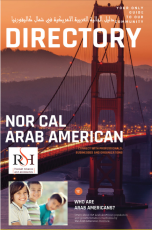 Community organizer, Samer Elbandak, joins Arabiyaat in studio to tell us about a new project he helped launched called, The Nor Cal Arab American Directory. It’s a glossy magazine full of resources that seeks to build new approach to connect to a fast growing diverse Arab-American community. Listen to hear more about this exciting new, grassroots project that gives you a lot more than where you can get your next falafel sandwich!